Unlikely, unexpected friendship. This charming piece featuring the star-crossed friends, Tod and Copper, from Disney's The Fox and the Hound is beautifully decorated with the combination of quilt patterns and folk art motifs that is unmistakably Jim Shore. 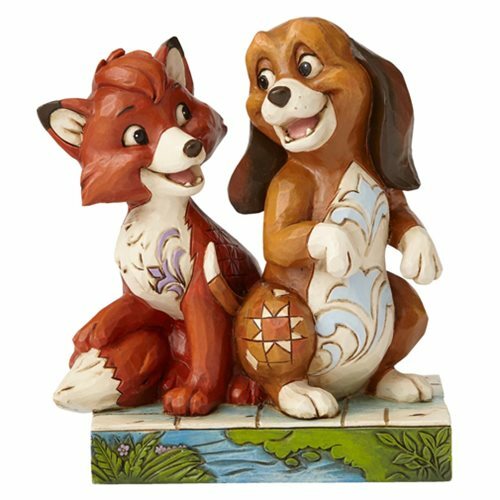 The Disney Traditions Fox and the Hound Unexpected Friendships Statue is made of stone resin. Measures about 5-inches tall x 4 1/4-inches long x 3-inches wide. Ages 13 and up.